I used to be into electric planes. I got very frustrated with them; batteries swelling, getting hot- sometimes catching on fire, long charge times, issues with ESCs, motor shaft bent after light mishaps, never enough batteries, having to remove the battery after every flight, always fear battery would catch fire while plane is in transport........ect. I changed over to glow fuel and never looked back! 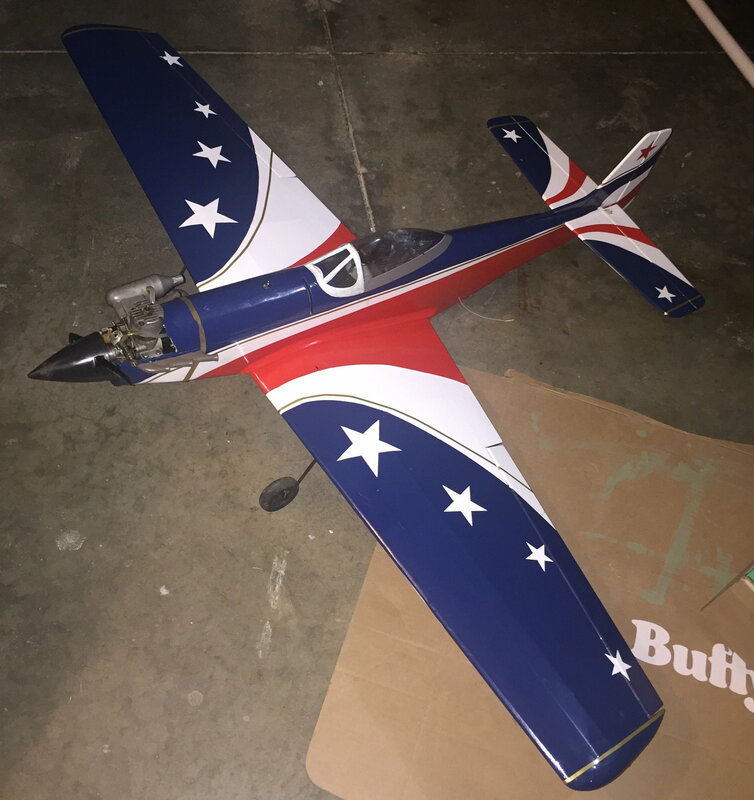 So I had this House Of Balsa electric P-51D Mustang that I had built still sitting around with the electric motor in it (I had traded off most of my electric planes) I had done a fantastic covering job on it and I just couldn’t part with it. So the other day I found an Enya .15 IV engine and decided to convert that beautiful Mustang to glow. It really didn’t take all that much to do the conversion-I had it done in a day. Today I brought it along to the field with a few other planes. The little Enya fired right up and didn’t need much tuning so I just decided to go for it. WOW! It got off the ground in just about four feet and flew fantastic! This thing screams!! Very fast and smooth without ANY trim adjustment at all! This is a fun little plane to tear up the sky with! I used to have one of the Tower Hobby’s foam electric Mustangs which is close to the size of this P-51 and this one totally out performs that one which I had thought was a great flying Mustang. The Enya .15 is more than enough power which is not a bad thing! House Of Balsa Electric Mustang converted to glow power. Enya .15 glow engine. glad that I hung on to it!